At least, not on the West Bend School Board. Here’s a story this weekend from the Washington County Daily News. 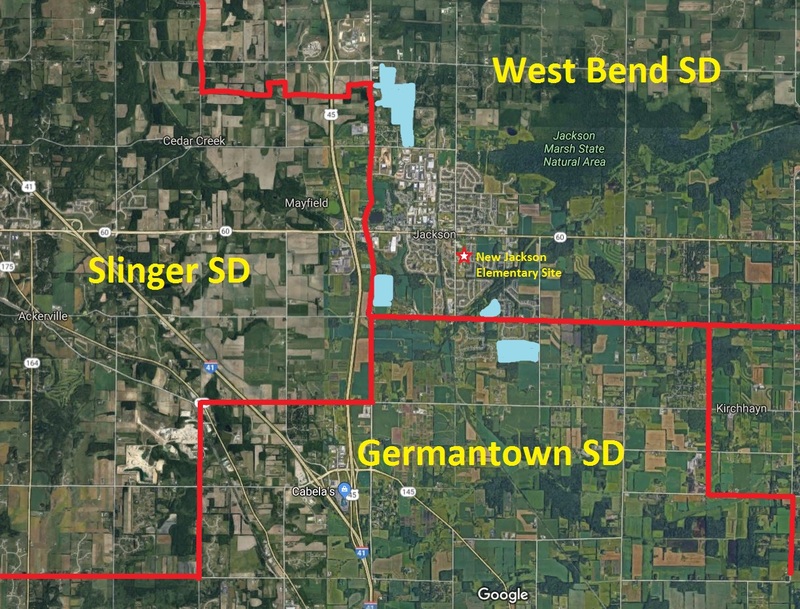 WEST BEND — April 2 will bring an important question to West Bend residents, as well as an opportunity to decide what the West Bend Joint School District’s school board will look like for the foreseeable future. With Ken Schmidt and Tiffany Larson taking a step back, three candidates have begun their campaign to fill those seats on the Board of Education. Paul Fischer, Christopher Bach and Erin Dove will have their names on the April election ballot. They shared their thoughts on the $47 million referendum. I’ll save you some reading… all of them support the referendum. Once Ken Schmidt leaves the board in a few weeks, there will no longer be any conservatives on the West Bend School Board. Some of the board members may be conservative in their personal lives, but that govern like liberals. Let’s review… in the past year, the school board has decided to shut down the district’s only charter school. They have given teachers a million-dollar across-the-board pay increase. They abandoned merit pay for teachers. They used the liberal playbook to get a massive spending referendum on the ballot. They were exposed for allowing multiple teachers to use class time to ram liberal ideology down the throats of kids. Meanwhile, enrollment continues to decline and the educational outcomes continue to be mediocre. Tell me how this behavior is different from what we see in Madison or Milwaukee? I pulled this blurb out of Judy Steffes’ Around the Bend piece. Two candidates have now filed papers to run for two open seats on the West Bend School Board as two incumbents have filed non-candidacy papers. According to Deb Roensch from the Education Service Center said incumbents Ken Schmidt and Tiffany Larson have both filed non-candidacy papers. The pair were elected to the West Bend School Board in April 2016. On Friday, Dec. 21, Paul Fischer, an elder at Kettlebrook Church, filed candidacy papers. On Dec. 23, Erin Dove, posted an announcement on social media about her intentions to run. A portion of her announcement is below. We’re losing a great, solid conservative in Ken Schmidt, who was sadly orphaned on the board in the last couple of years. He’ll be missed. As a staunch advocate for the WBEA’s agenda, Tiffany Larson won’t be missed at all. This is the chance to put two good conservatives on the board to begin to check the agenda of the liberal school board majority. The school referendum will almost certainly be on the same April ballot, so the battle lines should be clearly drawn. I don’t know Erin Dove and I look forward to hearing her views. I did have a chance to hear from Paul Fischer at the Concerned Citizens of Washington County meeting last week. Given that he supports a referendum to build a new Jackson Elementary, thinks teachers haven’t received a raise in 5 years (don’t know where that talking point came from), couldn’t think of anything to cut in the face of declining enrollment, and generally regurgitated all of the local liberal talking points about the schools, I won’t be supporting him. We need some good conservatives to run for school board. Here’s how to do it. The deadline to file papers to run for School Board is 5 p.m. Wednesday, Jan. 2, 2019. Declaration of Candidacy form and a Campaign Registration statement must be completed and can be dropped off at the Education Service Center, 735 S. Main Street, West Bend (across from Badger Middle School). Bear in mind that they are closed until the 2nd, so you’d have to drop off the paperwork on Wednesday. It’s cute how they pretend that they might not go to referendum in spring. Anyway, be sure to attend if you’re in town. It’s your only chance to weigh in. The West Bend School Board will meet tonight to discuss the potential purchase of property for a new Jackson Elementary School. More at the Washington County Insider. So the School Board wants to buy property for a new building that they don’t have funding for in a district that has declining enrollment when they are already $130 million is debt. For some reason, the live stream of meetings of the West Bend School Board have not worked for months due to “technical difficulties.” I know… in an age when I can live stream anything in 3 seconds with my phone, that excuse sounds ridiculous. Thankfully, the Washington County Insider is on the case! They are going to talk about the union contract being at an impasse tonight. They are already late, so there’s no telling when it will come up. UPDATE: Sure enough, the school board declared an impasse after two meetings with the union and imposed the district’s last offer – a blanket 2% base increase including those at the top of the scale. Given the lack of bleating from the usual union folks, it seems that they are pretty happy with it. Once again, this School Board has failed to utilize their power to create a compensation structure that rewards better student outcomes and the teachers who generate them. In the West Bend School District, every teacher is treated the same, so everyone will trend to the middle, or just good enough to not get fired. Mediocrity throughout. I move to declare negotiations with the WBEA for 2017-2018 and 2018-2019 at impasse, and to implement the District’s final proposal for both years. According to the law, if the two parties can’t agree, the school board can declare the negotiations at an impasse. This then allows the board to impose their last best offer. What I find odd is the timing. When the School Board held the annual meeting less than three weeks ago, they specifically noted that they had not yet begun negotiations with the union. It was a point of contention because the proposed budget had about a million dollars in compensation increases, but no information on how that money was to be allocated. Now, less than three week later, the board has conducted exhaustive negotiations for last year’s and this year’s compensation plans to the point that they are at an impasse? It strikes me that either the negotiating team at the district has a hair trigger at declaring an impasse, which would be unfair to teachers, or that this is a predetermined tactic because the school district is giving the teachers everything they want anyway. By declaring an impasse, the union can continue the fiction of victimhood. Or I suppose a third scenario could be that the district was already conducting negotiations at the time of the annual meeting and simply lied about it. I don’t think that’s likely. This post is going to be a little long, so strap yourself in. If you live in the West Bend School District, you’ll want to read it. The rest of y’all should find a good college football game to watch. On Monday, the voters of the West Bend School District are invited to attend the Annual Meeting of Electors. This is an annual meeting where, theoretically, the voters approve some of the big ticket items like the tax levy and budget. In reality, all of the votes are non-binding, so the School Board can still do whatever they want. Still, it is an opportunity for voters to show up and have their voices heard. The only thing we have any information on is the proposed budget and tax levy, so the voters will be walking in blind to whatever the resolutions are about board member compensation and the disposal of district property. We’re going to take a deeper look at the budget and tax levy, but first, let’s discuss the process a little. In years past, the West Bend School Board began its budget process in the spring. If I remember correctly (I’m sure someone will correct me if I’m wrong), we usually got a preliminary budget in the April/May time frame. That high-level preliminary budget was posted on the district web site and the people had some time with it. This year, the first appearance of a preliminary budget from the school district that I saw was last Tuesday morning – after the Monday night board meeting. Perhaps it was posted Monday night. But now the Electors are being asked to vote on it a week later. One. Week. That’s all the voters get to read it and understand it. There hasn’t been any time for the media or interested parties to ask questions. There hasn’t even been another board meeting where citizens could voice their opinions on it. There is really no excuse for this kind of opaqueness from the West Bend School Board. They have had this information for months, but failed to be transparent about it. Their lack of transparency is not incompetence. It is willful. That being said, let’s look at the budget. As we get into it, we must remember the context of this budget. The West Bend School Board just postponed action on a $85 million referendum. Budgets are where we define our priorities. There is always an unlimited list of needs/wants (the distinction between the two often being in the eye of the beholder) and a limited amount of money to pay for it. The budget is where you have to prioritize that list. Let’s start with the revenue side of the budget. There are two primary sources of revenue for a Wisconsin school district – the local property tax levy and state aid. The West Bend School District is facing a demographic and societal shift that is causing a decline in enrollment for the foreseeable future. The estimates range between a 10% and 20% decline in enrollment in the next 10 years. This is a significant impact on the state aid that the district receives because it is based on enrollment. Also, enrollment affects the property tax levy limit for the district. In short, the West Bend School District is facing a sustained period of declining revenue. In the preliminary budget (focusing on the operating budget and not the special parts), we see this manifest in a projected $233,405 decrease in revenue. That decrease in overall revenue is despite a property tax hike. The School District wants to increase the property tax levy by $928,249 – the maximum amount allowed by law. Most of this is offset by a decrease in the levy due to some debt service coming off the books, so the impact will be minimal. But taxpayers could be enjoying a rare tax decrease if not for the School Board’s desire to tax to the max. In light of that fact, let’s take a closer look at the spending side of the budget. Overall, the preliminary budget proposes a $1.3 million spending increase. You’re reading that right. The preliminary budget has a structural $1.4 million deficit. The School District must have a balanced budget, so they are raiding their reserve fund to fill the gap. Superintendent Don Kirkegard acknowledges that this is not sustainable and he will be working to bend the district’s cost into the revenue number next year. I cut him some slack because he has only been on the job since July and was handed this budget. Also, he comes from another state and it takes a little time to learn the Wisconsin Way of school budgeting. This budget is the product of the interim Superintendent, staff, and most of all, the School Board. What is driving the spending increase? Almost all of it is due to a planned compensation increase for the teaching staff. Although salary negotiations are still underway, this budget includes a 2.1% base salary increase. That is the maximum that the School Board would have to give under Act 10. That amounts to a $929,853 compensation increase. That umber is a little misleading because the budget number includes benefits, salary, and headcount fluctuations. But based on the commentary at the school board meeting last week, that number is about right. They are planning roughly a $900k salary increase. The other increases are scattered around the budget. It is a little hard to tease them out because the district is also reallocating a lot of expenses. According to the Superintendent, they are working on reallocating expenses to the building level so that they can have better visibility to where the expenses are actually being spent. That’s a good thing, but it makes year-to-year trending data difficult. The story of this budget is not really what it does, but what it doesn’t do. The West Bend School Board is facing declining enrollment and, consequently, declining revenue. Next year they are planning to ask the taxpayers to dig deeper into their family budgets and pay more for bigger, newer facilities. This budget is the School Board’s statement of priorities before asking the taxpayers for more money and they chose to kick the can down the road another year. They are choosing to not make any hard decisions nor demonstrate that they will be good stewards if the taxpayers give them almost the equivalent of an entire year’s budget to spend all at once. Maintenance. Many of the facilities needs that are driving the perceived need for a referendum are due to years of poor maintenance. Jackson Elementary is old and falling apart, they tell us. The High School building needs serious renovations and repairs, we’re told. I defy anyone to look at the preliminary budget and determine what the school district spends to maintain their facilities. There isn’t a line item for it. According to the Superintendent, the large, capital projects like roof replacements and such are covered by the Capital Projects Fund and is about $2.3 million. More routing maintenance like carpet replacements, door repairs, fixture replacements, light bulbs, etc. are kind of tucked into the “other support services” or “central services” budget items. But those line items blend a lot of “catch all” expenses. It is safe to say, however, that despite these pressing needs that are fueling a referendum discussion, the budget makes no serious effort to spend more on maintenance. I tried to find some good benchmarks for what schools should spend on maintenance, but they are hard to come by. This data from the Building Owners and Managers Association says that for office space (roughly equivalent), people spend about $8.07 per square foot for annual operating expenses. That number includes some things like security, administration, etc. that are not really pertinent in a school setting. If we just include repairs, maintenance, cleaning, etc., it’s about $4 per square foot per year. 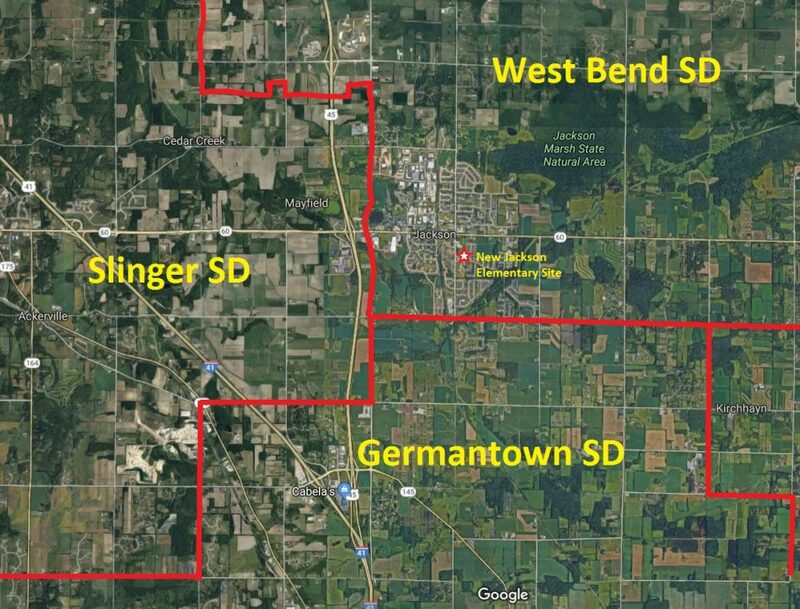 The West Bend School District has 1,141,656 sq. feet of building space – not including grounds, sports fields, parking lots, etc. It is reasonable to expect that the district needs to spend $4 to $4.5 million per year just to keep their facilities reasonable cleaned and maintained. I don’t see anything near that much in the budget even as I add up the line items. This points to a trend of School Districts intentionally under-funding maintenance, allowing facilities to decline into disrepair, and then pushing for a referendum to make up for their neglect. This budget looks like it will continue that trend. Labor Costs. Without a doubt, labor costs are the largest expense in any school district budget. If the School Board is ever going to control costs and bring them in line with revenue projections, they have to control the cost of labor. There are only a few ways to do that. They can cut overall compensation – salaries and benefits. They can reduce the number of employees. Or they can force employee churn to create a younger, cheaper workforce. At some point, the district needs to reduce the number of employees. There are fewer and fewer kids to teach. Therefore, there will need to be fewer and fewer teachers, administrators, and support staff to serve those kids. This needs to be done intelligently and carefully, but it needs to be done. The School Board and this budget fail to take advantage of Act 10 to control the overall compensation costs for the employees. Employees still have a sweetheart deal on benefits. The School Board is assuming a maximum base salary increase. The School Board has not implemented merit pay or other performance-driven compensation models. They haven’t done much of anything. The compensation package for West Bend School District employees looks much like it could have in 1999 or 2005. Once again, this budget just kicks the can down the road and fails to do anything about rising labor costs in the face of declining revenue. The preliminary budget for the West Bend School District sends a very clear message to the citizens of the district. Despite virulent protestations about needing tens of millions of dollars in a referendum to pay for critical facilities, the School Board intends to just keep doing the same thing as if there isn’t any need at all. They are not making any hard choices or shifting any additional spending to address those needs. They are also not addressing the structural funding issues that are already impacting the district’s revenue. The School Board is planning to ask the taxpayers to dig deeper into their family budgets and give up their own priorities, but the School Board is refusing to dig deeper into their own budget. Instead, they are doing what far too many school boards do: tax to the max; give employees as much of an increase as possible; starve facilities; refuse to innovate; keep doing everything the same way and wondering why you keep getting the same results. I will believe that there is a crisis in the West Bend School District when they begin acting like it. This budget sends the message that the School Board thinks everything is fine the way it is.